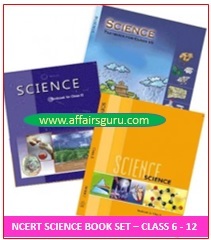 Students can download the NCERT book PDF for science subject of class 6, 7, 8, 9, 10, 11, 12 by clicking on below. These books are important in doing the preparation for UPSC Civil Service, SSC. This will help you to score a good marks in the exams. You can download the science book both in English and Hindi.